Over the last weeks, a great debate has erupted regarding silver. More to the point, Ted Butler claims JP Morgan has accumulated at least 350 million physical ounces. Some pooh pooh this and say it is not possible while others who may believe it are scared witless because they are afraid Morgan will dump the metal and destroy the silver price. Taking first things first and then later expanding, I believe it is possible for Morgan to have accumulated this silver. If you look at the bleed from both COMEX and SLV inventories and add in the purported movements on the LBMA, I do believe it is possible that JPM has amassed a silver war chest. From a “dollar” standpoint, this is only about $5 billion which wouldn’t even need to come from their equity as they have a direct pipeline to the bowels of the Fed and Treasury for credit. To answer the question of “fear” propounding this silver will be used to destroy the market, I would first remind you that “devious” and “stupid” are two separate descriptions. No matter what anyone believes, JP Morgan is not stupid, devious may be another matter altogether with each fine they have paid as proof. JP Morgan has had a huge short paper position in silver for many years dating back to at least 2007 when they inherited Bear Stearns positions. The position has been so large in fact, they could never possibly “push a button” to cover it because the metal simply never existed to cover it in a short period of time. Any attempt to cover would have created a panic of demand and a minimum price of $100 per ounce for starters! This leads us to one of several theories and the most obvious, JP Morgan has been amassing physical silver and is now actually a hedge against their short position as opposed to the other way around. It makes zero sense to me that Morgan would dump a physical position because the accumulation was so difficult to acquire in the first place. As I said above, JP Morgan is not stupid and they understand the logic of where the macroeconomics are headed. They know the game is either inflate or die and can surely make the judgment as to whether or not they want to be net long, or short silver. And trust me, they also know the difference between paper contracted silver and the real thing in their vaults. It also occurred to me, what if the short position is “used” to revalue the long position? We have seen so many times where naked contracts were “sold sloppy and sold BIG”, what if JPM decided to actually cover their short by buying “sloppy”? They effectively could use the short position as a springboard if you will? What would stop them from covering the short to become flat and just keep on buying sloppy in the futures pits and running every short on the planet? They must surely know the upside pressure is there not only technically but fundamentally because of the supply being knocked off stream by below production prices? This is an easy trade for them if truly have built a physical long, thus making their short to unwind the “sloppier the better”! This makes more sense to me than dumping the physical long which everyone is so afraid of. Another theory is that JP Morgan has gotten very long physical silver at low prices by compressing said price in the futures markets. Some believe Morgan understands where the game is headed and also understands the “uses” for silver are expanding exponentially, and in particular the solar energy industry. This is possible in my opinion as I don’t believe there is any hoard of 350 million ounces or more anywhere else. Maybe they are looking to the future and want to sit on the real metal to supply into a future market at grossly higher prices with real demand unable to be satisfied. There is one more theory, one that I cannot prove but makes a lot of sense. I believe the Chinese lent 300 million ounces of silver to the U.S. back in 2003 and this was a 10 year lease. I believe the lease ran out and was defaulted on in 2013, this would partially or mostly explain why silver was attacked in the paper markets so brutally. The “tree had to be shaken” in an effort to shake some real silver from holders hands. Also if you remember, it was around this time that Warren Buffett let loose of his 129 million ounce position he announced originally a few years earlier, the divestiture “coincidentally” coincided with the formation of the ETF, SLV… that was funded with a very similar number of ounces! It is my belief that after the U.S. defaulted on its lease to China, China wanted some sort of assurance they would ultimately be paid. It was this broken transaction and the following agreement not to “let the price of silver (or gold) to get away” that has allowed China to amass huge sums of gold “in lieu of” silver. I believe this broken transaction is the reason suppression has been so blatant and violent since April 2013, time will tell. I say “time will tell” because something very different has just begun to happen. Sovereign bonds all over the world have begun to gyrate wildly with yields moving to the upside. The short squeeze/giant margin call in the dollar seems to be ending and the dollar has now reversed. Gold and silver are also acting unlike anything over the last two years just today. They opened on the firm side, jumped higher, and then rather than being capped it is like they are bulldozers in low gear steadily rising tick by tick. We will need a few more days to see if the previous patterns are firmly broken but it looks like it so far. The odds China announces how much gold they have accumulated sometime later this year are very high in my opinion. The case for 10,000 tons is very easily proven, just as is the case that much of that gold MUST have come from N.Y., London and the FRBNY (or Fort Knox). The paper short positions in gold and silver will be destroyed in virtually overnight fashion after any announcement by China even close to 10,000 tons. Getting back to JP Morgan’s silver position, I cannot see them trying to “flood” the market with physical silver because a move like this might have the staying power of 24 hours. For them to sell $5 billion worth of silver is laughable in dollar terms and would be “Hooverized” by physical buyers (even China herself) long before it hit any market or exchange. If JP Morgan truly does have 350 million ounces of real physical silver it is in my opinion because they are bullish on “real physical silver”! hang in there, I believe the worm is turning here and now. thanks, please inform my wife …she might disagree just a tad and downgrade it to only “smart”. is not JPM another extended claw of the dragon? or maybe the bear infiltrated? or the tiger’s best friend now? like greece just literally emptied out the entire coffers with no more safety net – good game of game theory, who would have thought the greeks learn MAD too, hey? shooting stars are moving everywhere…. destiny are formed and changed…. which snowflake would be the lucky one? the tricolor one or the, well, tricolor one? wanna bet? offline for the wkend for me now.. be well and keep your hat on! Bill, this could be true, then again maybe not, barring any concrete proof. Ted Butler (Mister Silver) seems quite convinced that the JPM physical silver hoard is an absolute fact. This gives me pause to reflect, since Ted is one of the worlds most experienced experts in this field. However, there’s still a lack of proof and at this moment, its all conjecture with “best” guesses. Time will tell. As Andy keeps on about “economic mother nature” eventually having her way. One thing I’m very sure of, is that both physical gold and silver will be revalued in the new paradigm, at much higher valuations. Who knows what new unit of account that will be? periodically in solemn tones: ” Beware the Bond Vigilantes” implying this would be the final resolution. Is this what is happening now, and who are they ?! bond vigilantes are dead and long gone, otherwise interest rates would not be zero bound. What may be happening now is a giant and system wide margin call. I’m backing the 300 million Chinese ounces theory. Don’t the Chinese at least in part own JPM already? Enjoyed all your articles Bill and looking forward to what you and Jim Sinclair come up with. thanks Richard, will try not to disappoint! Do you feel it means anything that SunEdison (sub of JPM) bought a firm that is heavy in wind and solar, and JPM itself has purchased a Windfarm? I do understand this is “chicken feed” in the big picture. but “solar” is definitely coming in a big way! Yes, and silver is important in solar cells. How much silver would it take to control the future solar industry? more than is available by above ground stockpiles today. For now we see through a glass, darkly……. First time commenter. Only found your blog a couple of months ago. Two weeks without your insight and comments will seem like a very long time. Thanks for your work and writing in a style that even I can understand! Regarding precious metals stored outside the country, do you believe they will be safe after the reset or will governments confiscate them. We were right but still lose? 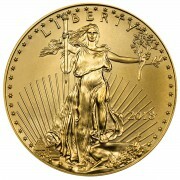 thanks Craig, hold them in nonbank depositories, Miles Franklin offers this in Montreal with Brinks. namely if the town turn into chaos would your non bank depo open? can you walk up to your non bank to get it? would other “opportunity seekers” be around to target the withdrawal? thanks for your following and posts, please follow the “Holter/Sinclair collaboration” shortly. I suggested the reverse. As for storage, don’t have it all in one place, one country or institution. Only keep as much on hand as you are willing to lose by theft or a gun stuck in your wife’s mouth. Bill, JPMorgan just wants to “win” no matter how the wind blows. While the gold, silver, copper suppression et al continues, JPMorgan makes money short-selling and re-hypotheticating. If and when a new gold standard comes out, JPMorgan wants to make money on that too. If solar/wind power rules over nuclear/oil, JPMorgan wins on that bet as well. It’s still evil, because JPMorgan is using insider information, but it’s not unpredictable nor unseeable. JPMorgan intends to stay on the top of the hill no matter what they have to do or who they have to do it to. It’s how they started with the original JPMorgan, and they’ve continued since. of course, all I am saying is if they hold silver, they are bullish physical silver. I’ve always looked forward to reading your latest articles Bill, but now I need a little help. Do you have any estimate on when you and Jim Sinclair will on line together and how do we find you? thanks Paul, I am taking a few days off and will probably write one piece next week, maybe two the following week and will post at all the same sites including Miles Franklin. Jim is leaving for Tanzania and working on their first pour and getting production up to speed, he will be back in a couple of weeks and we will start. Still don’t know whether we will use his existing site or whether we will start a new one. He has suggested “Holter/Sinclair collaboration” so I guess this will be our call name. I assure you Miles Franklin will keep you posted as I will still broker all my business through them and be in contact almost daily. Not to worry, I am not going away unless I stop breathing! Sad to see this story get so much attention. JP Morgan’s reported silver depository holdings have increased to 60 million ounces- that’s not 350 Million ounces. During the time that JPM increased their silver holdings, fellow bullion banks HSBC and Scotia Mocatta DECREASED their by more. Perhaps this is just risk sharing among bullion banks. JPM was notoriously famous for having such low stock piles that Max Keiser back in 2010 thought they could be brought down on a non delivery event. Beefing up their silver holdings makes this less likely. How much of the silver in JPM’s depository is theirs for proprietary trading and how much is clients is unclear but even if most of it is JPM’s, 60 million ounces is about 6% of global annual mining production and an even smaller amount of the total investible silver available in the world. The idea that 300 million of JPM’s supposed speculated silver holdings are in the form of American Silver Eagles is ridiculous. There is no evidence that they have these coins which would not be eligible as “good delivery” silver on COMEX, so why would they hold them if they can’t leverage them or can’t deliver them? 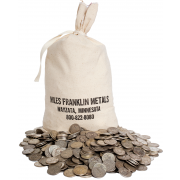 Buying ASE’s is also an inefficient way of buying silver in bulk as the US mint charges $2 over spot PER COIN. Is JPM going to open a chain of coin stores across the US to sell them when the market goes higher? Seriously, this story is as dumb as they come. It only has a scintilla of credibility because it comes from Ted Butler. JPM makes more money everyday buying and selling paper contracts on COMEX then they could ever make trading physical silver in the form of one ounce American Silver Eagles or “monster boxes”. Further, JPM makes more money OUTSIDE of silver too. The silver market is tiny, any involvement JPM has in the silver market is probably done as a favor rather than as a proprietary money making arm of their business. The speculation about JPM and silver is baseless. There are plenty of reasons to tout precious metals, JPM’s supposed accumulation of it is not one of them. “If JP Morgan truly does have 350 million ounces of real physical silver it is in my opinion because they are bullish on “real physical silver”! BUT even if silver were to go to $100 an ounce, JPM’s hoard of 350 million ounces would be worth “just” $35B- chicken feed for JPM as $35B is the amount that they have paid in fines the past few years. $100 an ounce is chicken feed. yep but a huge stack of pancakes compared to today’s price! I would not be so brash as to give one …you? don’t have one, but wouldn’t think silver $100 wouldn’t be chicken feed. The only way silver rises significantly in $ terms is if the price is determined outside the LBMA/COMEX via a physical supply and demand dynamic. We’ve seen the price capped in 1980 and 2011 by COMEX change in rules/increased margin requirements. As long as bullion banks control the action on COMEX and that is where the price is set, the price will be capped. If in 2008 JPM, GS etal failed THEN you would have seen gold and silver skyrocket well beyond their 2011 peaks. If the next financial crisis takes down the bullion banks, there maybe no immediate place where global prices originate and local pricing/exchanges may spring up with much higher prices. Failing a banking/financial collapse that takes out the bullion banks and COMEX/LBMA prices may rise but with limits. good luck, “Failing a banking/financial collapse that takes out the bullion banks and COMEX/LBMA prices may rise but with limits.” …you have missed everything I have written. Maybe you are correct and I am wrong, time will tell. In my opinion, it is ridiculous to put “dollar terms” on anything because how do you put a an inverse value on zero? We can only value in dollars today because that is the benchmark we all have. If the dollar goes away perhaps ounces of gold or silver or barrels or oil or yuan or sdrs will be the benchmark. Currently, most of us get paid in dollars, buy stuff in dollars. We know prices in dollars. Some of us may know how many ounces of gold or silver it would take to buy a car or a house but very few actually pay for cars and houses or much else in gold or silver. What will silver be worth in the future? Today i can only guess in dollar terms. If the dollar went away i would think silver would be valued by what it would buy. Right now for better or worse I think of prices in dollars. I would suggest “for worse”, you are missing the big picture and thinking in a U.S. centric view. This will be clearly seen as wrong. Time to shift gears! My pt of view holds for any citizen of any nation that thinks in terms of the national currency that they use. Maybe one day they wont, but today they still do. Im not missing the big picture I am looking at the picture the way it is now. Visions of the future can not be agreed upon as easily as what the current state of the world is. Prices and values are arrived at by markets that reflect some common benchmark and comparison. Today markets and we think in terms of our respective fiat currencies whether they be dollars euros or yuan, not gold or silver when establishing prices. Your future vision of a non dollar world may be correct but it’s only a forecast. You can conduct your day to day affairs with the world as if it has been realized – although you will profit greatly if it comes true. To prepare for the obliteration of current reality however, is. I quit, you win, you apparently believe that fiats actually have inherent value. they do not, never have, never will. You have obviously been “Dow Jones(ed)” when you say “how the picture is now”. Wake up dude! I am done here and done the best I can to help you…YOU take over because you get it, I obviously don’t! CIAO! Fiat may not have inherent value other than it is what Miles Franklin and all other gold and silver dealers accept when they sell silver and gold priced in dollars. There must be some value there, no? Indeed I can buy gold and silver with dollars! What country is the largest consumer of silver? CHINA. What country has the longest history of using silver as currency? CHINA. What country acquired One Chase Manhattan Plaza skyscraper on Oct 17, 2013 from JPMorgan Chase at the very low price of $725 million? CHINA. I believe that the Chinese also acquired all of JPMorgan’s physical silver then, and the Chinese has since controlled the sale and price of physical silver since then. …then they are pricing their “product” below what it costs to produce Victor. Really? So they are pricing silver below the global cost of production? I highly doubt it because the Chinese respect Mother Nature rather than spitting in her face. You missed my statement for the “SALE” of their silver. They only sold to Chinese manufactures for solar panels. They supported COMEX and LBMA manipulation until they still have physical silver to sell. I forgot to mention that the sale of physical silver to foreigners is exclusively by the Shanghai International Gold Exchange (SGEI), and domestically by the Shanghai Gold Exchange (SGE), which uses the spot price of COMEX and LBMA. Foreigners are restricted from buying any Precious Metals from SGX. Thanks again Bill. I’ve been reading a lot lately about JP Morgan and silver. While some of your statements were a little difficult for me to understand (because I’m no expert on these matters), the way my simple minds puts it is that JP Morgan had to take the Bear Stearn’s short position in silver during acquisition. Knowing that sliver will eventually rise, they are now buying to not only to guard against those massive short positions but also to profit in the coming year(s). Ron Bear Stearns 2008 short position has long been taken out. Remember silver rose exponentially from 2008-2011. Whatever profit or lose to be made from that position is long gone. Long and short positions can be rolled over or closed out. The Bear Stearns short position no longer exists. JP Morgan never flattened their position since then so in effect, the short is still a Bear Stearns legacy. the amount of money JPM can make or lose with its silver position is tiny compared to the rest of their operations. as I said last night, “at what price?” If a cup of coffee becomes $1,000 because the currency broke down, what will the price of silver be? …times 350 million? Agree my point is we are not there yet so i prefer to price things in today’s dollar terms because it what i know. Silver protects you for what might be. Until then i will carry on thinking in dollars until we need to think in ounces or something else. I am not defending the dollar, rather acknowledging what it is today – how we price goods and services. I dont share the industructable dollar Dent view. Indeed I have written extensively not on a dollar collapse but on a slow dollar decline. then we will have to agree to disagree, when the dollar does go down it will not be in some dreamy slow burn fashion. how did you go broke? …slowly at first and then all of a sudden? You do it your way, I’ll do it mine. Over 5 years ago the USGS postulated that silver would become the first extinct metal on the planet, and indicated that the time frame would be less than 20 years, if not sooner. Given that silver mining production is likely to decline over the next decade (both from silver only and base metal mines), and that industrial demand will likely increase, it is interesting to contemplate the price of silver in the 10th year of the USGS scenario; the 12th; 15th; etc. In fact, a strong case could be made that silver may become more valuable than gold, considering existing global stockpiles of each. Bix Weir believes this also. and crazy Karen Hudes says there is 170,000 “extra” tons of gold sitting in Hawaii, does it mean the gold is really there because she says it is? I’ve never understood a word she has ever said in her interviews. Something about gold for everyone humanity the Philippines sue to get it back under a mountain save the world whistle blower? Just because she says there are 170,000 extra tons of gold doesn’t mean its so any more than ted butler saying JPM has 350 million ounces of silver makes it so. If I had to pick a concoction I’d pick Mr. Butler’s first, then Bix’s Road to Rooter and Hudes’ last. Butler has some logic behind his theory, Bix and Hudes have “aliens” behind theirs. I believe your theory on the silver ultimately belonging to China makes sense. China also bought a JP Morgan gold vault in early 2014 in New York City (opposite the NYFR building). There are also Chinese connections to the cattle stolen last Spring during the Bundy Standoff in addition to water in the Great Lakes being sold to China. China is a silver nation. Will Chinese Panda’s carry a potentially higher premium in your opinion? 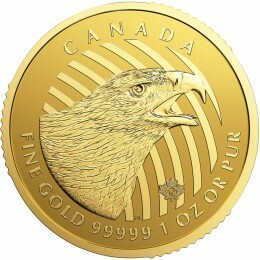 In contrast 29 million canadian silver maple leaf coins and 44 million american silver eagle coins were minted last year. Yes you should own hard assets 10% maybe a bit more. Don’t fight the FED will never end. pristine logic …and spelling too. I forgot 1 thing…QE can be used to control bond yields forever, add the FED, huge pension pools and banks being forced to service UST. This will never be an issue regardless of who dumps UST. Look into Japan if you need a guide… now is this good economic policy? No but it sure beats defaulting on pensions, SS and Medicare payments. That would upset the heard. Print forever+manipulate markets with computers. Look into the Algos if that doesn’t make sense. Silver is a central bank enemy…good luck winning that battle. Bill, I meant to say open up your view…Saying narrow wasn’t my intention. And reason I said people will lose money is that this is a very speculative market, the market is full of bad data and little in the way of truly accurate. Throw in the broken pricing mechanism influencing the price of phiz silver. There is just noway to determine is it a good place. Central banks don’t want it to rise. Manufacturing doesn’t either. This is pure speculation that Jamie Dimon does…He manages over a trillion in assets. And he’s going to hedge with a few billion in silver….Cmon! Think about it! and you finish with even more spam. Great way to finish up my blog with an illogical troll. That guy needs to go back to junior high. I almost didn’t post it but the logic was too funny not to. Answer the question then….What country will give up the power of the printing press? Without that your case is nothing. My previous answer ” No major country would “willingly” give up the printing press, however, this doesn’t mean the markets will not “take away” this privilege once the currency is abused as badly as the dollar has been” was not good enough for you? You seem to think the printing press is the answer and will forestall any collapse, do you not see it as the very core to the problems? “my case” is well documented and archived over the years, please break down my logic. Printing fiat money is the problem as it ultimately “makes the money itself worthless”, tell me where this statement is flawed? WOW creedyD98, you finished my blog with cogent, lucid, well thought out logic, what happened? Were you just messing with me all along? Bill…just an American ready to live and die for the Constitution of the United States of America….lived and knew what this great country once was…..know that it has been hijacked….how will it all go down?….they have even told us of the impending collapse one by one….Christine Lagarde-lady of Sevens, then Jamie Dimon, Lawrence Summers, Hank Paulsen, recently Tim Geithner and others….they keep parading their people out there and telling us but very few are listening or paying attention….will be following Sinclair and you…..when the fireworks happen they won’t be able to find a lady fat enough to sing…but it will be over….keep writing and keep warning. Lol, ya I’m spam. That’s the typical comeback for your type when they get exposed. Your baseless case on JP Morgan makes no sense. Have a look at what JP manages, get out your calculator and do the math. This hedging case makes no sense! Learn how the system really works. You obviously have no clue how banking,economics or anything about geopolitics. Answer 2 questions for me Mr Guru….Why would China loan the US silver? 2nd, you never answered my 1st question. What major country would give up the power of the printing press? would China have possibly lent silver to the U.S. “for interest” on non interest paying silver? Was there a need for silver by the U.S. since all of the Manhattan project silver had been used? No major country would “willingly” give up the printing press, however, this doesn’t mean the markets will not “take away” this privilege once the currency is abused as badly as the dollar has been. Taking away the printing press is a pipe dream. Governments WILL not give up that power. Has the dollar been trashed? Sure has, won’t fight you on that. But has it ever occurred too you that all global currencies are being/have been trashed? It’s a coordinated effort. Governments will not give up that control! As long as it’s done slowly, there will never be the “reset” everyone in the stacking community eleven is coming. FIAT is power. You want to take that tool from government away? Good luck! The Pentagon backs the dollar, China is pegged to the dollar for a reason. Don’t kid yourself into this currency war garbage. Currency wars lead too real wars. They go hand in hand. Why would China want to join Washington DC based IMF if they were going to kill the dollar? Does that make sense? Obviously, I am bringing up stuff stacker can’t comprehend at this point. I’ll leave you with this. I’m from the industry and the worst part of my day was talking common sense into people that listen too guys like you. They system is not going to back too the stoneages. They will print more, forever, they will just do a better job that Weimer by not giving the money too everyone. “forever” is a very long time and just as you add TOOOO may “o’s” to the word “to”, ZEROES will be added TOOOOOOOOO the amount of dollars necessary toooooooooo clear trades. You have now said your piece and your stance is clear, “printing” will never stop, we will never ever have a reset because “the government will not let it happen”. This will be the last post I approve as you said it all in just three words after admitting the dollar has been trashed, “FIAT IS POWER”. You must have power to be allowed to issue fiat and your fiat must be accepted in order to have power. The Chinese understand this, you do not. Good Luck too you two! Too the gentleman above using Greece as an example. Look at how the EMU was set up. Greeces treasury doest have a Greek central bank to work with. None of the ECB nations do. It’s a flawed system. Greece joined knowing it would need supplements from the stronger nations. Germany is saying no now. Greece only has an issue because it does not have its own central bank…Jesus Bill, if you want to sell silver, teach your flock how things really work and that case becomes really clear. This nonsense just sets false expectations. Other than your disbelief of the “theory” of China lending silver, I clearly called it a theory, one that I did not make up but believe there are enough dots to connect to have some basis in truth. China was and is a “silver nation”, it is one of the ONLY large above ground sources where real silver can have come from. Other than this one point, do you argue with any of my other logic I have posted over the last 7 years? Snoopdog, look into the crombinimbus (spelled wrong) bill passed Dec 11 2014. Citibank sponsored US taxpayer dirivitives bill was put into the spending bill at the last minute. The powers that be will not allow that market to crumble. They don’t need a public spectacle of a bailout now. IT’S LAW! TBTF will get a money transfer if they need it …Jesus Bill, have you taught these people anything other than fantasy stuff.. For the record I spell terrible on my phone…I’ll give you that. Dismissing what I’m telling you is a mistake. You see, I am from the same industry, the difference is I learned how it all works. I did the HOMEWORK instead of letting my mind think stuff up..
maybe you should do some HOMEWORK yourself as you put it and look into a dictionary for spelling …or is it your “phone’s fault”? The Bill which you refer to protects the banks in the event (when, NOT if) the markets and specifically derivatives collapse. The taxpayers are now on the hook. If “they” did not believe “something bad” was coming, why would they have written this Bill in the first place? Your logic is twisted, my logic is apparently good enough for Jim Sinclair to partner with me in a joint venture …but then again, according to you he must be an idiot also because he agrees with most all of my writings? Please, get it all out and vent as much as you want, this article is my last with Miles Franklin so I will appease you by responding, I promise to trash your illogical comments in my future venture. Please bring your illogic on full force and pull your pants down for all to read! Bill, your work and logic should stand on its own. You logic is not validated because of your joint venture with Jim Sinclair. My logic does stand on its own if it does not, I assume you and others would have broken it down long ago. Say what you want, Mr. Sinclair is a brilliant guy, I look up to him and was very proud every time he posted any of my work. His postings of my work was “validation” for me personally because he is a man of honor and will not post or say what he does not believe. There is no greater mind in the gold business than he has, I would assume he does not want to work together because I am an idiot with poor logic? Sorry, you and I see many things so differently. Actually we don’t I think you misinterpret my meaning. My statement about your logic had nothing to do with whether Jim Sinclair was honorable or smart but rather that any statement or argument you make must stand on its own. It does not become validated because of your association with Jim Sinclair or anyone else. Statements like that raise doubt, but since I have read your work, I know you are an able writer that perhaps is just caught up in the euphoria of your upcoming joint venture in which I wish you all the best! Thank you for your well wishes. I stand by my work, period. You just proved my point…It’s LAW, they will print to protect the banks you claim will collapse. You just devalued your whole case. Your welcome for my review. Hopefully with Jim Sinclair, you can bring a better case. FYI, Mr Sinclair wasn’t right either, 2010 and 2011 were major transition years too what economics has become. Wall St getting spooked made you guys temporarily look right. Don’t bet on that again. Really learn how QE works before you write another article. If you need some references, you have my email. Post QE world has confused everyone. Until you know how it really works, nothing your saying will ever add up. repeat after you, “printing is the holy grail to Nirvana!”. You are not making sense. As a 59 year old small business owner, I have for a long time tried to stay abreast of business and world news via traditional and non-traditional means. Your arguments are very logical and persuasive. But something bothers me. 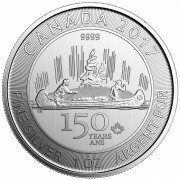 I can remember reading about silver as a teenager. More than 4 decades later, the good theories continue but the “big bang”, always predicted, has never happened. I realize that much has changed since the sixties (silver based photography has disappeared for example) but is humankind going to figure a way out of this mess, once again, without the predicted meltdown? yes, exactly Ron, and no White Knights to step in now. Ron, the game has been extended by rehypothecating everything not nailed down. The big difference today is that the U.S. Treasury no longer has the ability to reflate any more, they nor the Fed can not step in again to save the system. Randall…it is my viewpoint that sovereign country debt, consumer debt, margin debt, state & city debt, etc keeps growing exponentially combined with a faltering U.S. and global economy will destroy currencies and markets when reality is faced and all confidence is lost. It is also insane that the U.S. trade deficit has been $40B-$50B per month for years on end….If I were China, I would want to put an end to receiving this U.S. dollar digital toilet paper that is created out of nothing but a computer keystroke. China and other countries are producing goods of value and receiving U.S. digital dollars that really have no value. Any fraudulent shell game cannot go on to infinity. I think the global markets will melt down, the only real debate is to what level of catastrophe will this reach. As evidenced by Katrina and Baltimore to name a few, where less than 1% of the geography of the US was affected, we saw the chaos. Peacetime chaos is clearly on display on the Black Friday after Thanksgiving. The point is that we don’t live in a vacuum and our economy and our nation are faced with dozens of external pressures that we never faced before – all converging. Having a percentage of real gold and silver in one’s portfolio doesn’t seem all that paranoid. not paranoid at all given the already known facts. Lots of ‘things’ have been used as money over the ages. The world is still experimenting with paper currencies. Was it not Morgan who said that Gold is money and everything else is credit? I agree with Sinclair.. GOTS.. especially if you are over say 60yrs. Dollars in a bank are a losing proposition NOW and rates can be lowered forever by cutting them in half forever. I can tell you all something…there is not one person on the planet who has a brain that would rather hold $1200 in one hand more than an ounce of gold in the other. Greg Hunter just completed an extraordinary interview with Hugo Salinas-Price. Given this excellent column of yours on silver I would love to hear your take on the initiative Hugo puts forward. I have asked Andy H the same question. Mr. Salinas-Price is a very smart guy, the central banks will thwart his effort to monetize silver until they lose their credibility in a collapse. Well so much for gold acting differently. Back to the elevator shaft for you my golden friend. But I do believe that we are in a very narrow 1150 to 1330 trading range and we just as you say have to wait out the inevitable breakout to the upside. Thanks for the very interesting articles. I have read every single one of them and agree completely with your assessment and I appreciate very much that you do not make time and price predictions.